As a relatively new member of CJP, I have seen a couple of postings regarding outstanding specialists in CJs. I would be remiss if I didn’t mention Todd Crist of Business Jet Consultants, LLC. Todd was recommended to me by the attorneys I retained when purchasing a new CJ2+ a couple of years ago. Having been around corporate aviation for a good part of my business career, I knew there were lots of pitfalls when it came to evaluating and purchasing aircraft, and I also had a pretty good idea of what I didn’t know. I retained Todd, and he supervised the inspections and pre-delivery tests flawlessly. I have been very pleased with the product I received from Cessna, but only after a long laundry list of items Todd found in his new aircraft acceptance inspections were corrected. Todd completed all the inspection work during the December holidays on a timely basis and delivered the aircraft to me in Montana before year-end. Todd also flew with me several months until I located a pilot to fly the airplane. As a new jet pilot, I was able to use these occasions to learn much about the aircraft from Todd. Given Todd’s background as a former Cessna test pilot, there isn’t much about these planes he doesn’t know. He has a wealth of knowledge about Citations, and operating tips that make the airplane perform to its capabilities. I was impressed enough with Todd’s knowledge that I retained him to do some pilot training and mentoring with me to obtain my rating. Again, Todd was superb. For anyone looking for a specialist to help them with the delivery of an aircraft or to act as a Citation mentor pilot, I could not recommend Todd more highly. Todd is also our “go to” guy. His company also does excellent RVSM work. I picked up my M2 two months ago. The delivery process felt a little daunting to me, since this is the first jet I’ve owned. I came across Todd’s name in a CJP post recommending him, so I called him up and hired him to help me with the process. I couldn’t feel better about that decision. Within a couple hours of working with him I immediately knew it was money well spent. Todd knows not only the planes inside and out, but also the delivery process, the people involved, the pitfalls, etc. 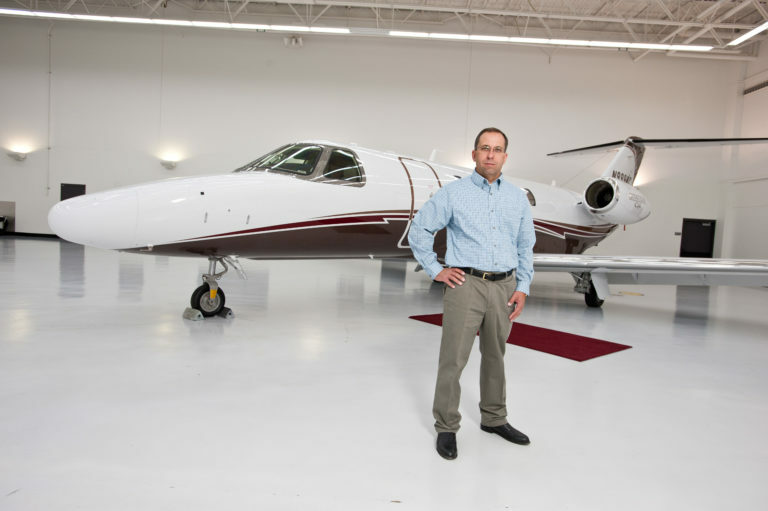 He’s been around Cessna and Citations for a long time, and it shows in the quality of the service he provides. Todd also flew with me as a mentor pilot for my first 30+ hours. Again I can’t say enough about how valuable that was (and fun!). He had tons of real-world practical advice to offer, not just on flying but also on overall ownership tips and tricks. Great stuff, and again super valuable. If you’re looking for delivery or flying help, I couldn’t recommend Todd more highly. I want to also commend Todd with Business Jet Consultants on his work. We have used Todd for both our deliveries on our new 2010 XLS+ and used 2012 CJ3 as well as Instructor pilot services in our CJ3 in preparation for type rating with Arizona Type Ratings (Mitch Ange). Todd has a lot of experience overseeing the delivery process and knows where to look for hidden issues. He found multiple issues both mechanic and paint on our XLS+ that were able to be corrected prior to the Air Worthiness being issued and thus a log book entry required. Issues are still logged in the production log. We feel this was money well spent as had these items gone uncorrected we would have spent more than Todd’s fee’s to fly the airplane to a service center for maintenance. As Pilot/A&P/IA I can say that it is invaluable to choose a consultant and/or maintenance facility that knows the particular airframe well so as to know where look for potential issues. I just hit 1000 hours on my CJ4 Serial No. 10, and only Todd and I have touched the yoke since he provided the delivery services four years ago. Todd is the consummate pilot professional and knows how to get things done inside Cessna as well when I have maintenance issues. He provides occasional pilot services for me and watches over maintenance visits at KICT when I am in training. Todd is terrific and a great resource to augment the an owner/pilot flight operation. I highly recommend him and BJC. I wanted to send you a quick note of thanks for helping me ferry our newly purchased Citation CJ2 from Milan, Italy back to the Midwest. Your guidance during the pre-buy and acceptance in Italy as well as the journey back proved invaluable. The background and training you afforded me during the flight back aided me greatly in my transition from our previous Beechjet. Your experience at Cessna as a test pilot proved invaluable during our systems checks on the plane in Milan. I fully recommend your pre-buy and ferry services to anyone in need of turnkey capabilities from an experienced professional. I could not imagine travelling the North Atlantic without your guidance given the trip routing and international protocol requirements. I look forward to the opportunity to work with you again as I plan on utilizing Business Jet Consultants LLC for any purchases in the future. Todd, I cannot thank you enough for the exceptional service you and your team at BJC gave me during my recent Citation delivery and ferry flight. Todd Crist and his team at Business Jet Consultants helped me to organize and deliver my Citation half way around the world. I was absolutely astounded by the level of service provided – I might as well have owned my own full blown flight department! The attention to detail, the flexibility, the additional training, advice, help, knowledge and experience provided and on offer were far in excess not only of my best expectations but also exceeded what I thought possible. I really cannot think of any single point that could be improved upon during my experience with Business Jet Consultants and cannot recommend Todd highly enough. Todd, I just wanted to say Thank You for assisting us during the delivery yesterday. You did a great job and the customer was very pleased. Look forward to working with you in the future. I have known Todd for several years and used him extensively for aircraft management and pilot services. Todd operated my CJ3 for a 4 month period in 2008 while I was overseas and he flew my family and friends around the country single pilot. He maintained the aircraft exceptionally and I trust Todd to treat it as his own. I continue to use Todd occasionally for pilot services and will use his services for Acceptance Evaluation when I take delivery of a CJ4 in late 2010. I HIGHLY recommend Todd Crist. Janet and I want to say thank you. Your knowledge of aviation and common sense approach to flying has been a great experience for me as developing pilot.You have been more than a flight instructor to us. We appreciate getting to know Amber and Cody as well.. look forward to seeing you soon. Want to get in touch? Have a question about a new or existing citation? Ask Todd. © 2017 Business Jet Consultants.